The Hawaii Symphony Orchestra stages its first pop up concert Saturday, December 30, 5pm at Salt in Kakaako. Expect a program of favorites including selections from Tchaikovsky's Sleeping Beauty, Bizet's Carmen, and John Williams' Harry Potter soundtrack. Tomorrow, Saturday, at 5pm, the Hawai‘i Symphony Orchestra is bringing musical fireworks and confetti to Kaka‘ako. 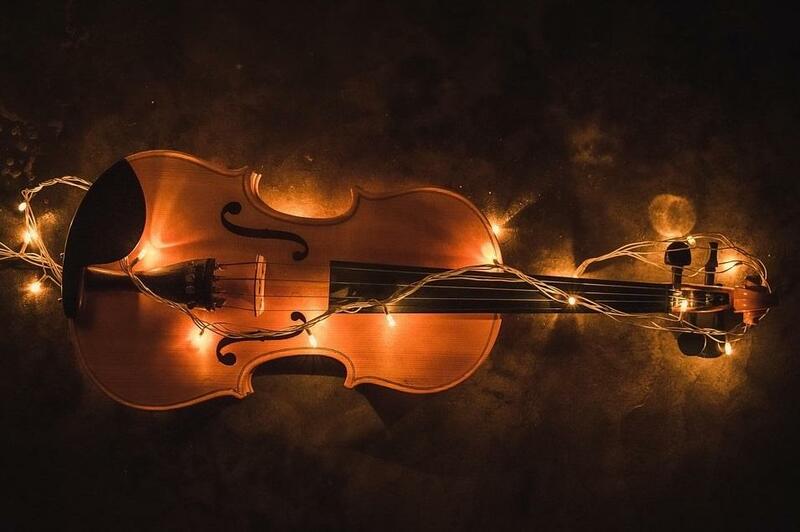 The popular Salt complex will host the full symphony, mixing the trendy pub and grinds atmosphere with masterworks from Bizet and Tchaikovsky and popular tunes like the Harry Potter theme. HPR’s Noe Tanigawa reports Hawai‘i’s favorite maestro, JoAnn Falletta, will conduct the festive concert. The pop up secret has been revealed! The location for Saturday's concert (12-30-17) is the Salt complex on Ala Moana Boulevard. in Kakaako. 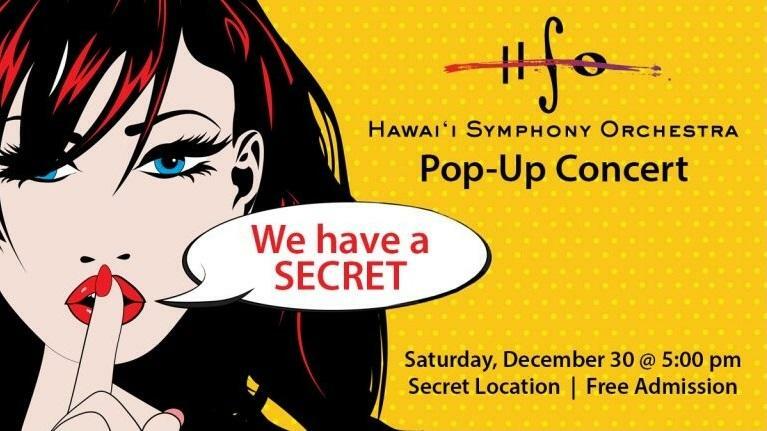 The Hawai‘i Symphony Orchestra’s festive pop up at the Salt complex in Kaka‘ako is completely free, thanks to an anonymous donor, and begins at 5pm tomorrow, December 30, 2017. All are welcome. The final performance of Beethoven’s 9th Symphony, the Ode to Joy, happens in the Blaisdell Concert Hall tonight (12/29/17) at 7:30. Next weekend (1/5-6/2018) the multi-media Disney in Concert series continues, and January 7, 2018, HSO presents the world premiere of Chen Yi’s latest composition for flute and pipa. 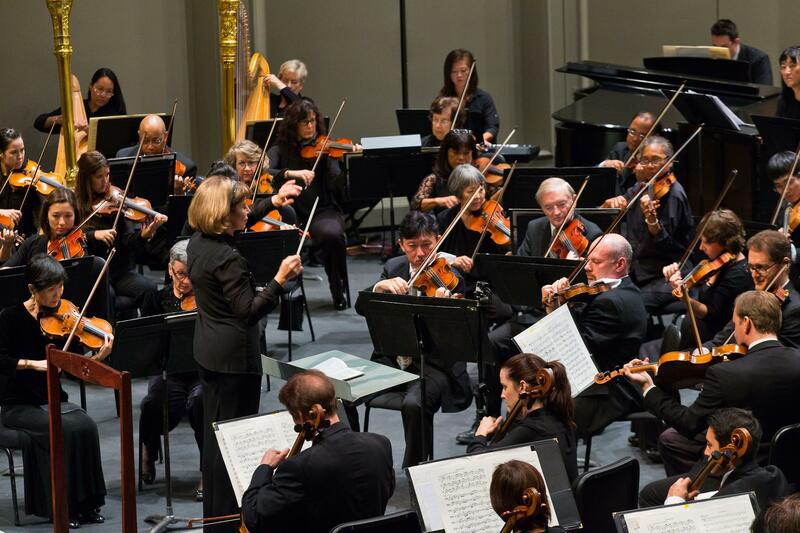 The New York Times calls JoAnn Falletta "one of the finest conductors of her generation." She is also the ardent artistic advisor for the Hawai‘i Symphony Orchestra. Falletta: Where the people are is where music should be. We’re thinking about music making in different ways now you know. In the past it was perhaps more formal where people knew the season a year in advance and had their subscription and dressed up, and maybe went to dinner before or afterwards. But we don’t always experience life that way anymore. 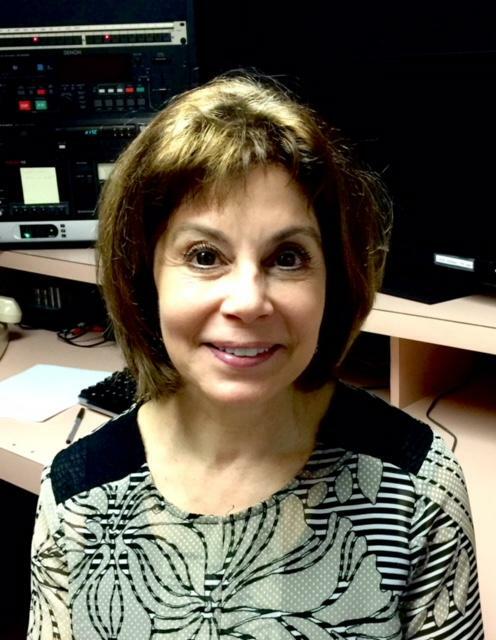 Conductor JoAnn Falletta is the Hawaii Symphony Orchestra's Artistic Advisor. A fine concert guitarist, Falletta is also Music Director for the Buffalo Philharmonic and the Virginia Symphony Orchestra. Falletta: Life maybe is a little more on the fly. What are we going to do tonight? What are we going to do this afternoon? Will the kids enjoy this? This pop up concert is that kind of event where people might decide at the last moment. And they don’t have to get dressed up and they don’t have to worry about will our children enjoy this? They will! That’s what we’re looking for. We’re looking for ways of bringing music to people on the highest level, because these musicians are fabulous, right in a place where they’re comfortable. 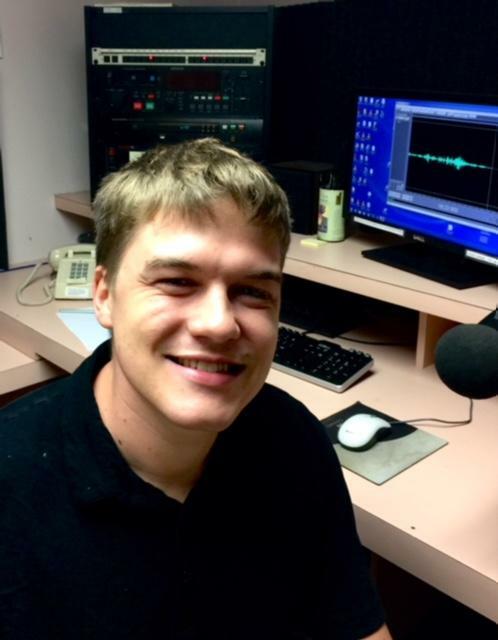 Tommy Morrison plays bassoon with the Hawai‘i Symphony Orchestra, and says they play the range of master classics and rousing contemporary soundtracks. Morrison: I think there’s a lot of value in playing things people recognize. For example, we’re playing a suite from Carmen, the opera. You recognize some of those tunes because they’re all over popular culture and TV and movies, but an orchestra is really versatile, so this is a nice opportunity to hear some variety. Morrison: I just saw the newest Star Wars and I thought the best part of it was the orchestra that plays the soundtrack. It was my favorite part. The music really ties the movie together. I’m sure the day will come when you’re sitting there playing that very music! Morrison: Yeah! Soundtracks really give context and life to a movie or television show. A lot of times you don’t even consciously realize that something else is going on besides the action and the drama, but the music kind of draws you in. It’s really a whole experience, and something like hearing Beethoven 9 is a major bucket list thing for a lot of people. Tommy Morrison, bassoonist, 25, is enjoying his first season with the Hawaii Symphony Orchestra. A New Jersey native, he lives here with a percussionist and a bass player, both fellow musicians with the HSO. His days here are filled with practicing, rehearsals, and carving his reeds (a distinctly oboe/clarinet obsession) plus the occasional body surfing expedition to Sandy's or Makapuu. Not a bad life! You're playing the 9th right now! Morrison: It’s awesome. I’m right in the middle of the stage. The string section is in front of me. The brass, percussion, and choir are behind me. I’ve got the best seat in the house, I think! It’s empowering to think of this music as the soundtrack for your contemporary life. Falletta: And it is. We, of course, as an orchestra, in some ways we’re like a museum because we’re a repository of great music of the past. But also, music is a mirror of who we are now, who we hope to be and where we want to go, and introducing living, contemporary music is very important because it connects with people’s lives today. Falletta: In times like today, we realize that arts are fragile and we need to take care of them and they really are who we are. That’s a responsibility I’m embracing with increased strength because we need to preserve what’s important in our lives. Let's introduce more people to something that can enrich them internally, really make them connect with something special that nothing else can do. Have you found any different sort of reaction to music in the last year, say? Falletta: Yes. In a wonderful way it seems this sort of troubles we’re all dealing with and sense of uncertainty has made us turn to the arts. I’m so happy about that. People are looking to the arts for a kind of stability, a kind of reassurance of what we are about as people. 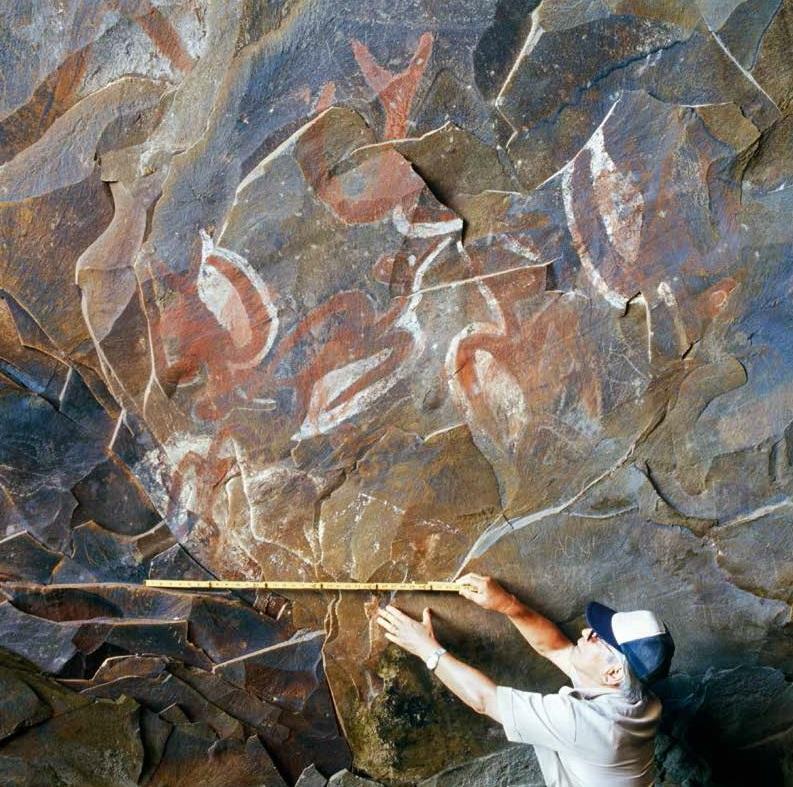 There’s something communal about the arts too that is wonderful. Sitting next to someone else who is hearing the same music as you and having a deeply emotional connection to the music means you’re having an emotional connection to each other. People know we need that, so they’re looking for that, and I’m hoping the Hawai‘i Symphony can bring that to people in different ways. The pop up concert is one of them, Beethoven 9 is another one, celebrating Chinese New Year little early is another one with our concert in a week or so. We’re doing a world premiere by the fantastic Chinese composer Chen Yi (January 7, 2018). All of this brings us together, and I guess simply said, that‘s what we need. 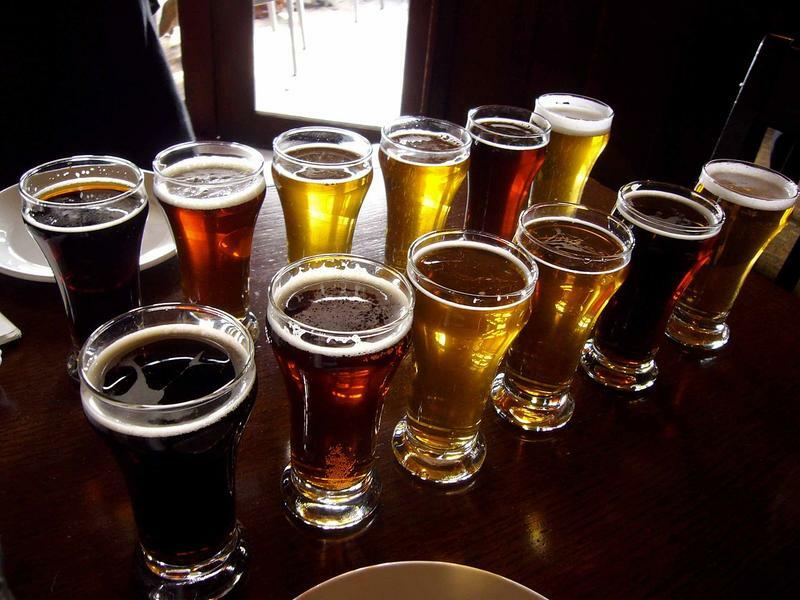 Bring on Honolulu's Craft Brews! Craft brewing is changing the social scene here in Honolulu. The national Brewers Association lists fourteen breweries in the Islands, with four breweries in Kaka‘ako alone. 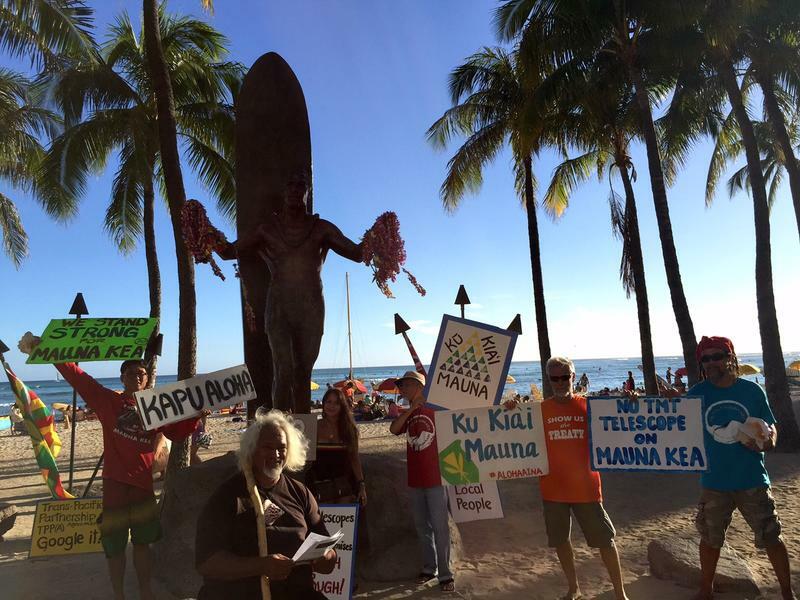 HPR’s Noe Tanigawa offers this first installment in a swing through that scene.